Student funding isn’t an easy one to get your head around. Even the most intelligent of students struggle with the endless forms, repeated questions and the back and forth with the loans company. So, we’re here to help you get through the process stress-free – providing you stick to our rules, anyway. 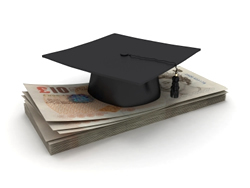 Student Finance England set a deadline for applications every year, and they set it for a reason. Don’t forget that there are hundreds of thousands of students applying for finance and it can take a long time to process each application – especially if the forms are filled in incorrectly in the first place – if you get our application in on time, your funding will be in place for the start of your course. If you don’t manage to get it in in time, there’s no need to worry, because your application will still be processed but you may have to wait for your funding which means you could go a few weeks without funding at the start of term. This is something that’s really important; every year there are so many people who request the wrong tuition fee amount and, although it can be changed during the academic year, it becomes complicated and requires more forms – a stress you could probably do without. So, before you submit your forms double check that your tuition fee request is correct and, if you’re unsure, contact your prospective university before sending. This is a policy that pretty much every university has in place. When you go to enrol make sure you take your funding sheets with you. Your funding won’t be approved until your university confirm your attendance with the loans company, and they can’t do that without your forms. Student Finance England can only ensure you’re receiving the right financial support if you inform them of changes to your circumstances. If you don’t notify them of changes in household income then you could be over or even underpaid, and overpayment could lead to you having to make a large repayment at a time when you’re unlikely to be able to afford it. Whether it’s a problem with your fee payment or a loan payment that you’re owed, speak to your university’s finance office. They could be able to speak to Student Finance England for you, or even help you during a time of hardship if your loan hasn’t been paid. Remember: If they don’t know you’re having difficulties then they can’t help you. If you need to change any of your personal details then this should only be done through your online account, or by ringing the Student Finance hotline. There are a lot of email scams relating to student finance, so remember that SFE will never ask for your personal details in an email. There have been a number of instances when loan payments have been sent to the account of a fraudster because applicants have fallen for an email scam. Make sure you spend a couple of minutes checking the bank details you have given to SFE. It take two minutes to check and change any details necessary, but could take hours on the phone in September when you find that you haven’t been paid a scheduled loan payment. If you’re already in full time work but see yourself in a whole new career then home learning could be an option. The main reason for a lot of people dismissing the idea of earning more qualifications, is the cost. However, financial help may also be available to those undertaking a home learning course, so it’s worth having a look at before overlooking the idea. Whether it’s through Student Finance England, or just spreading the cost over a monthly payment plan, the majority of learning providers will offer some kind of help. Follow this advice and you should find the whole finance process quite simple and easy to deal with, which has to be better than the hellish panic that others report. Great topic. Young people are often befuddled and become frustrated when developing a plan for financing post-secondary education.